It always amazes me that there are still people who think they must have money to travel. I’m here to tell you, you can travel the world for free, and it’s really not that hard. Yes, the glossy brochures will have you believing that for the greatest travel experience, you have to spend all of your hard-earned money for the perfect hotel room, but you don’t. After all, it’s the people you meet and the places you see that will change your life, not the hotel room you stay in. Did you know that time is free? You have all the time in the world. Let yourself slowly get to a place. Take a road trip on a bike. Hitchhike. There are many ways to get somewhere for free. And, no, hitchhiking doesn’t have to mean sticking your thumb on the side of the road. With websites like TripHopping, you can post ride requests or look for people who are offering rides. You can see new places for free by volunteering. Sites like Wwoofing let you work on organic farms in exchange for lodging. Workaway.info lets you help local communities. You can also volunteer with the UN or join the Peace Corp to see more of the world. Sites like Trusted House Sitters have opportunities all over the world that allow you to stay in someone’s home in exchange for house and pet sitting. This is a great way to discover the world, and you can often find long-term house sits that allow you to explore an area more slowly. Couchsurfing is a great website that allows you to stay for free with locals when you travel. This is a great way to meet the locals and to see a place from more of a locals viewpoint and not as a tourist. There are many jobs you can do while you travel such as work as a tour guide, travel blogging, photography, teaching English, or even working on a boat as part of a crew. There are many ways to use credit cards to use to your advantage to get free places to stay, free airfare, and other travel hacking rewards which will help you to travel the world. This article about travel hacking tells you more. 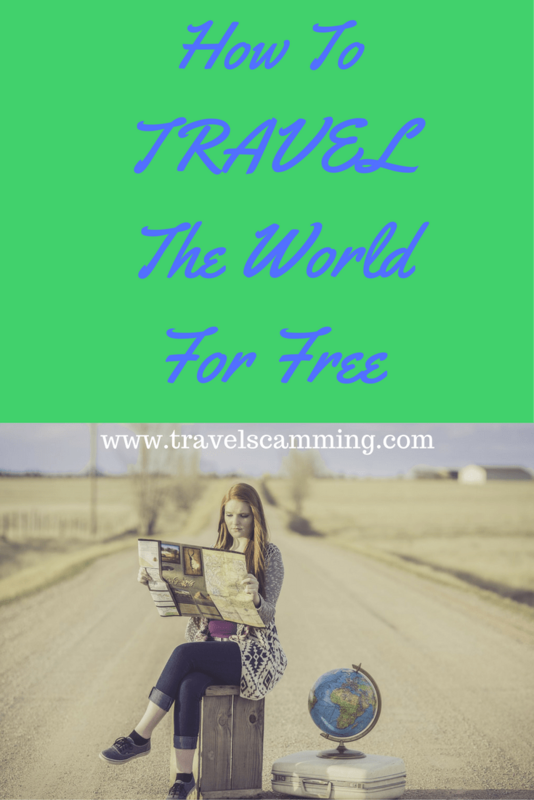 Very interesting ideas to travel for free. Actually after reading your article I realized that money is not the main factor. Willingness to travel should be the main feature. People want to travel only with a lot of money to afford the luxuries, but for those who only want to enjoy the journey that does not matter. So true, Samia, so true! There are lots of tourists here in The Philippines who stay for months yet spend so less. I know they do lots of couchsurfing. Travel hacking is probably the best way to cut travel related costs and fall in love with traveling. I recently just booked my honeymoon for minimal out of pocket dollar costs! I constantly think about quitting the 9 to 5 job everyday and working out a sustainable way to travel the world.